How do I initiate an Office@Hand web meeting on my mobile device? 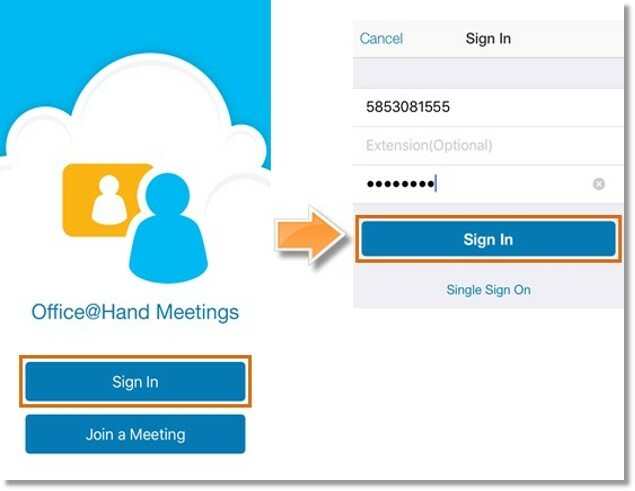 AT&T Office@Hand Meetings mobile app is an easy way for you to host web meetings. A meeting bridge can be used for 8 hours. The meeting will be dropped and then participants and hosts have to dial into the meeting again. Note: While the screenshots below were taken from an iOS device, the same steps are applicable to Android devices. 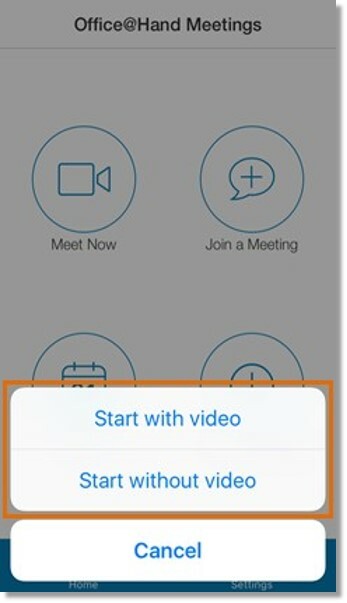 Launch your AT&T Office@Hand Meetings app on your device. Note: If you have logged in to your account on your mobile device before, you can skip this step. 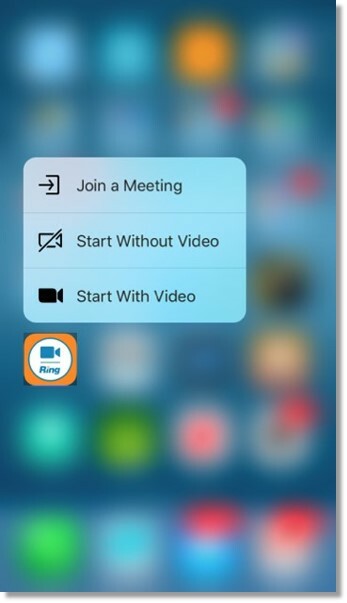 Tap either Start with video or Start without video. Once the meeting starts, you will be prompted to invite participants. 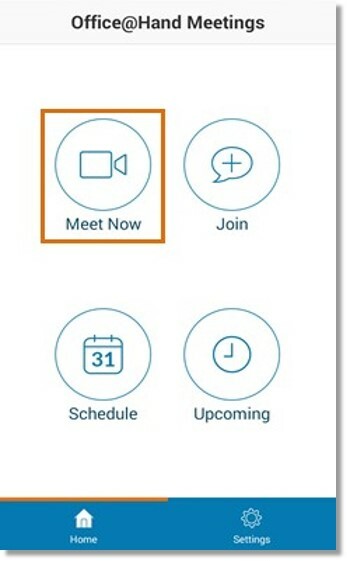 To start a meeting, tap and hold the AT&T Office@Hand Meetings icon, then choose either Join a Meeting, Start Without Video, or Start With Video.